After a weekend cooped up in our respective snowed-in abodes, we decided to take a day trip together to one of the most inviting cities in New England, Portsmouth, NH. On our way up, we stopped a few miles away in the charming town of Rye, NH to pop into a recommended spot, Christine’s Crossing. 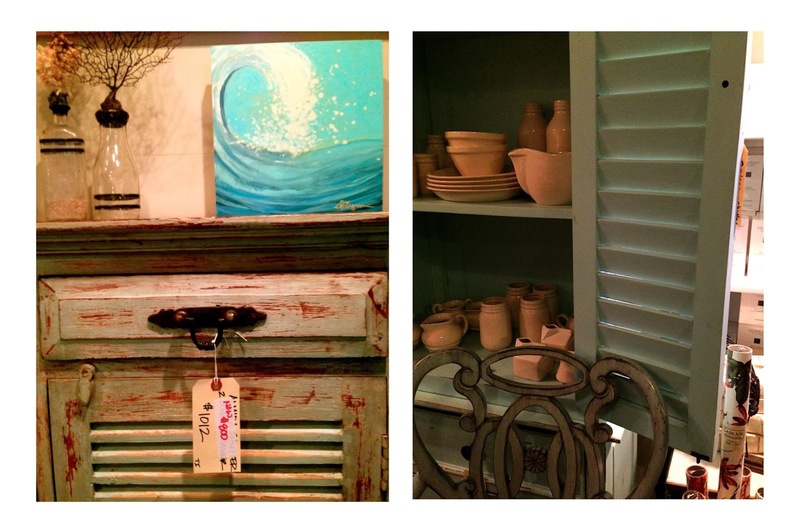 We walked into the rustic antique storefront to find a maze of beautifully adorned rooms overflowing with kitchenware, furniture, paintings and antique gifts. We were impressed how each room matched by color in its own unique way. We, of course wanted to buy every beach themed painting, painted glass, teal dressers, Ikat upholstered armchairs and rustic chandeliers, but limited ourselves to the clothing section with a funky faux fur vest for Marni and a cozy green and gray flowy sweater for Kara. Christine’s was a hidden gem! On a shopping high, we continued onto Portsmouth. 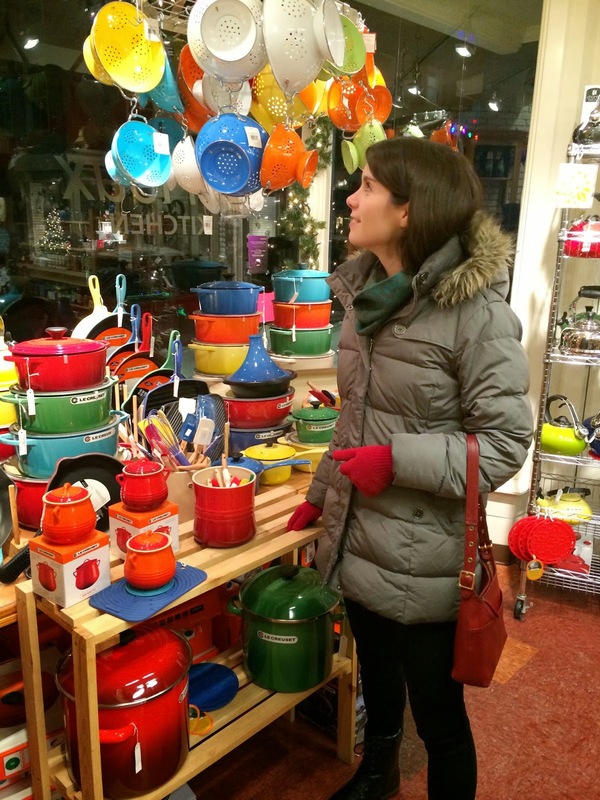 Upon entering the red-brick lined cobblestone streets set on the Piscataqua River, we parked our car and joined the bundled up window shoppers and restaurant goers. While it proved to be a frigid winter weekend, the sunny day, cute shops and quaint restaurants motivated us to power through the slushy streets. Giddy and hungry, we decided to try a lunch recommendation from our dear friend, Katie at Surf Restaurant. Seated at a table overlooking the harbor and Christmas light-adorned tug boats, we dove into the menu overflowing with freshly prepared seafood, and were pleased to see one of our favorite upper-New England brews, Peak Organic’s Pomegranate Wheat. 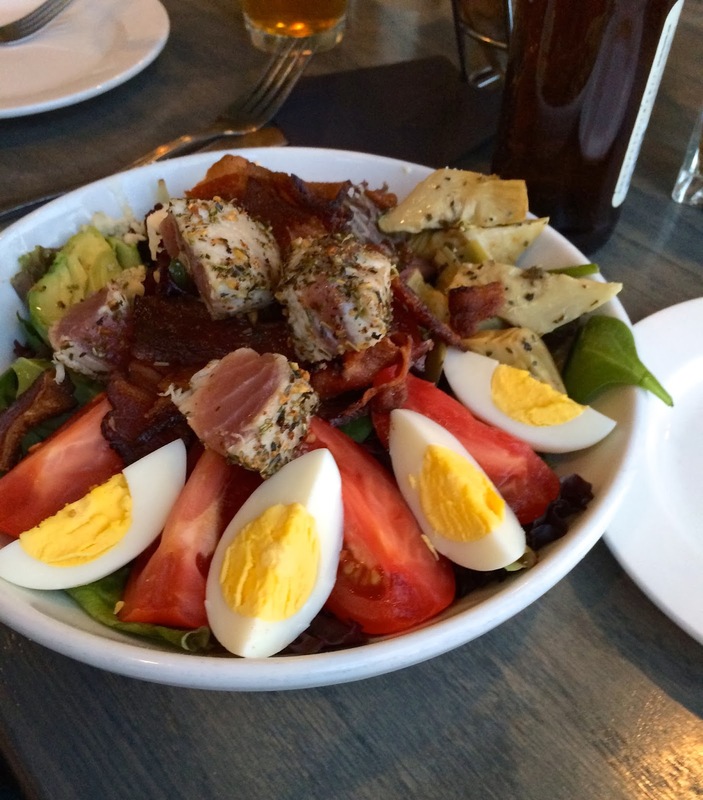 Marni opted for the Tuna Cobb Salad which featured seared tuna on mixed greens with egg, avocado, artichoke hearts, tomatoes, Cherrywood smoked bacon, and crumbled Gorgonzola cheese, dressed with a red wine vinaigrette. Kara could not resist the Fish and Chips which featured lightly breaded and fried cod served with french fries and coleslaw. The juicy, flaky fish dishes, crisp brews and friendly staff made for a lovely late luncheon. After lunch, we window shopped our way down Bow Street, stepping into Making Faces for some candles and makeup and a few other boutiques until we reached one of our favorite spots, LeRoux Kitchen. 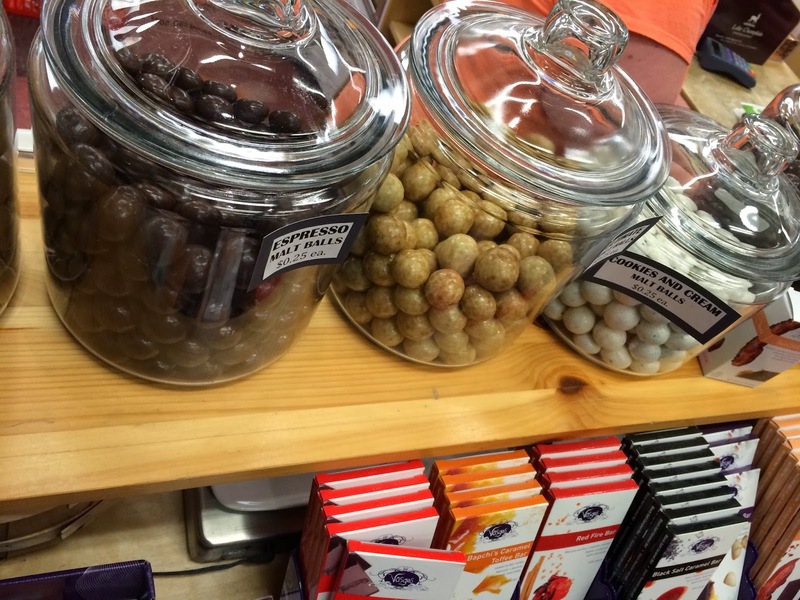 Like kiddies in a Candy Land, we gawked at the wall of rainbow Le Creuset pots and sampled the mondo malt balls (peanut butter flavored for Kara and espresso for Marni). Yum. 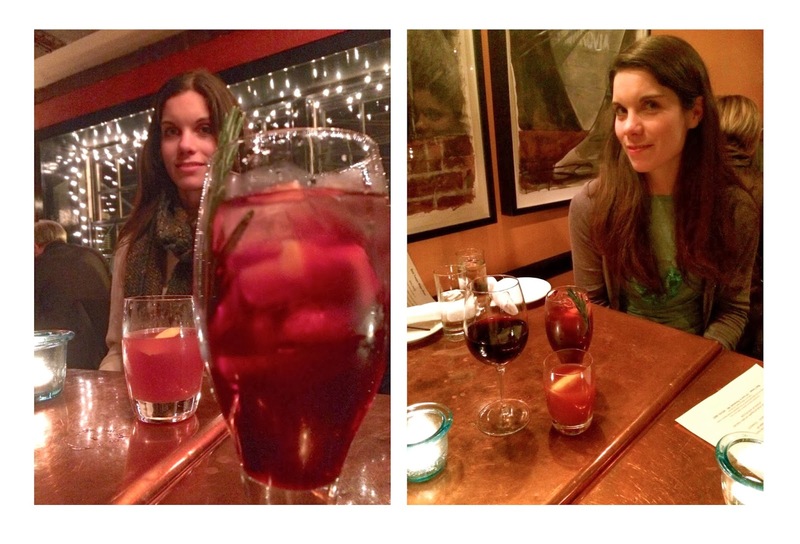 After sampling some Balsamic vinegars, Rosés and Chocolate-flavored wine (a bit unsure how we feel about that one) at Attrezi Fine Kitchen, it was time for a wintery cocktail break. We walked down the quiet Ceres Street to Black Trumpet Bistro. The two-story building within a former warehouse had an unassuming exterior with a candlelit, intimate interior. We made our way upstairs to the Wine Bar and sampled the menu composed of small plates, medium plates and full entrees changing seasonally with touches of Mediterranean country cuisine. Marni sipped on a Winter Sazerac (Rye, Peychaud's and Angostura bitters, root and bark syrup and orange peel), while Kara sipped on a Winter Sangria (Red wine, mulling spices, Tusca, Brandy, finished with Sparkling Wine). We both nibbled on the Chef’s Meze Platter featuring a trio of small bites. 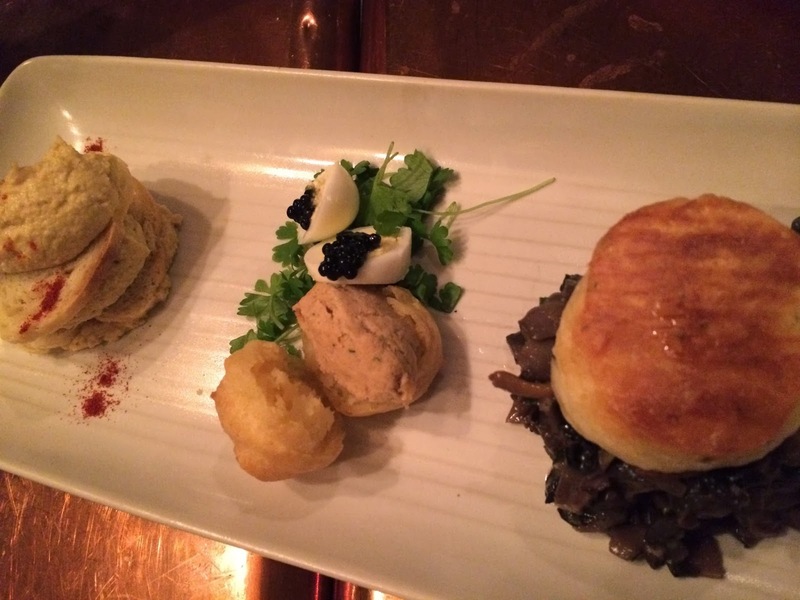 The stunningly plated lineup included smooth, mild hummus and crostini, a flaky pastry puff topped with pungent smoked trout, a quail egg and caviar and foraged mushrooms sauteed over a chive butter biscuit. Each was a burst of flavor and texture. To end our evening, we knew we had to sample a local brew. 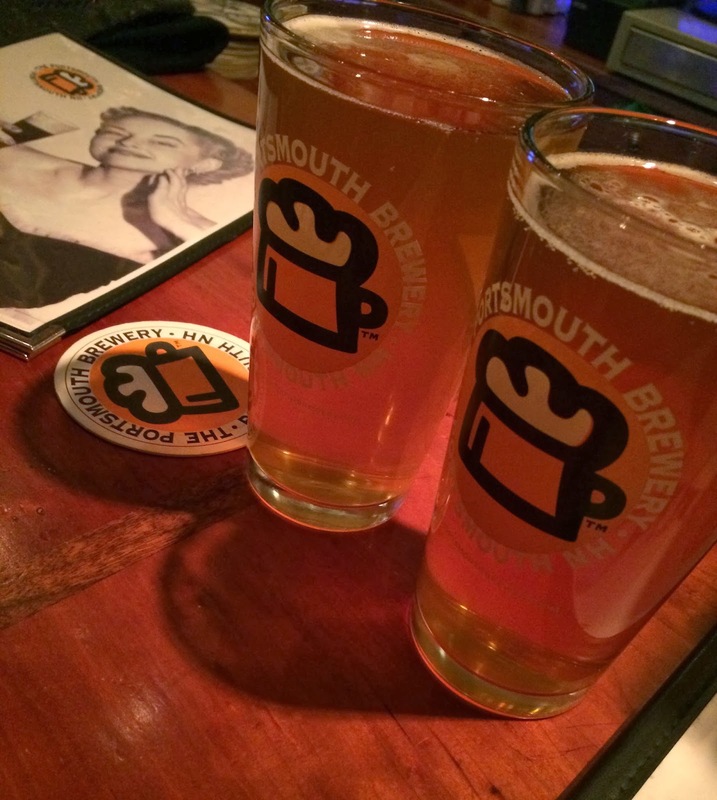 We grabbed a seat at the bar at Portsmouth Brewery amid a sea of locals. We each selected one of their in-house handcrafted beers alongside a plate of buffalo wings and a heaping bowl of their famous mussels steamed in their Blonde Ale broth-a capstone ending to our day in Portsmouth. Portsmouth is just a hop skip and a jump away from Boston. We look forward to heading back in the spring for some more fun!